This Barn can be seen just out of Woodend. 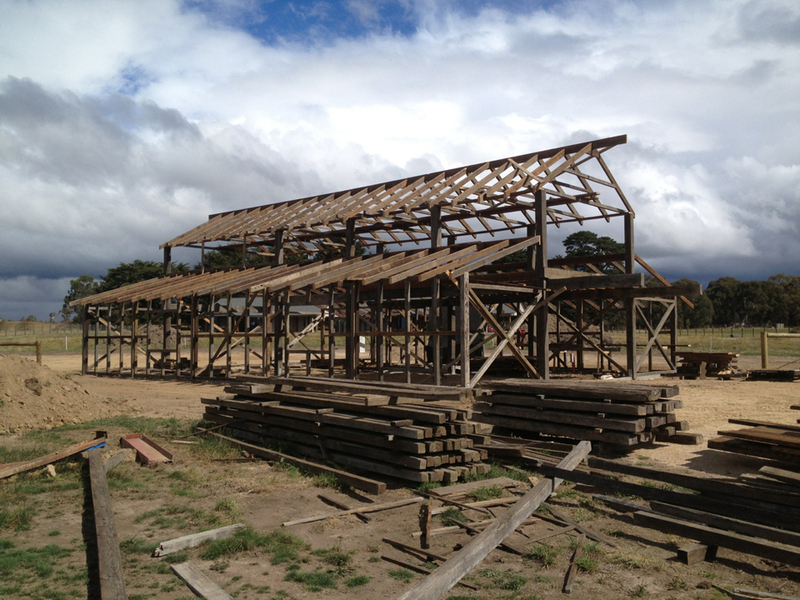 It was commissioned by the Glen Osmond Farm and is used as a retreat for children with special needs. The frame was made of 100×50/150×75/150×200/200x250mm Recycled North Coast Hardwood.All timber supplied by Timbersearch.